Continuing the previous blog post concerning how to control what font is being used as the “Standard” text style – One issue that has come up is that upon opening a drawing that has the “Standard” text style defined as something other than what your machine has it set as, the text in the drawing is being changed before the user has any control over it. Therefore they might not even know what the initial font was set as when the drawing was sent to them. 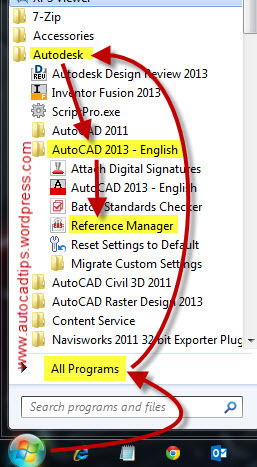 One way to check this is to use the Reference Manager tool that installs with AutoCAD. Upon opening, You are prompted to load all references (nested) or only the top level of references. If all you want to see is the drawing in question and it doesn’t have any references, use the bottom option. 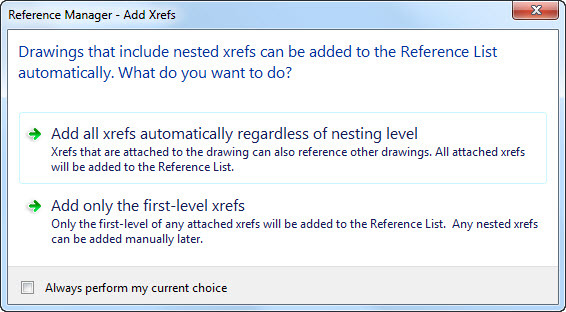 When the Reference Manager loads – Simply “Add Drawings” and navigate to the drawing you need more information about. After “adding” the drawing. Notice that the font and the corresponding Text Style are shown. Simply jot this down and you now know what font goes with what Style. This entry was posted in Customization, Manage, Text, TIPS. Bookmark the permalink. Nice job. More stuff learnt! What happen to the romandf.shx font?